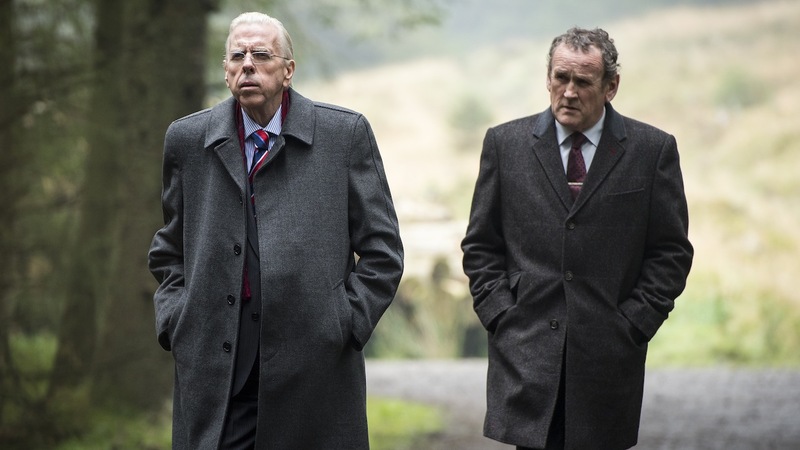 Timothy Spall (Mr. Turner) and Colm Meaney (The Commitments) star in the true-life tale of negotiating peace in Northern Ireland. Unionist leader Ian Paisley and Sinn Féin chief Martin McGuinness are arch-enemies and veterans of a 40-year conflict. A Scottish summit offers a last chance to come to an accord, but both men seem completely unmovable—until an unexpected trip opens up new hope. "A celebration, by two splendid actors, of the art of political theater."